My 2019 panel of experts is clear that SI is wrong about the Dodgers and the Astros. And, as in previous years, my panel is awesome. The rules for my expert panel are simple – all each one needs to do is choose the winner of a division. If they are right, I bake them cookies. The more right they are … the further their chosen team goes in the post-season … the more baking they will enjoy. Win the World Series, and I’ll bake up a storm – thousands of calories of homemade cookies, cakes, and pies. I am a Bloggess of my word and not only am I ready to bake, I am rooting for my panelists. Let’s get this cookie-ful baseball season started. 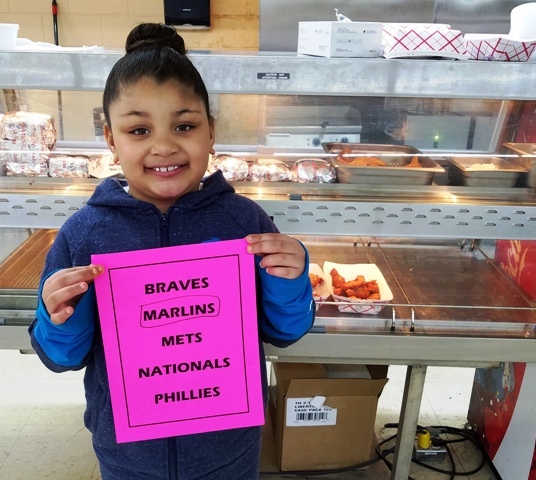 Even Aubrey, who is six, knows that the Washington Nationals aren’t winning anything in 2019. Not only that, Aubrey is choosing the Miami Marlins who, with 63 wins, had the worst record in the NL last season. If you’re going to stick it to the Nats, go big. Aubrey is sure this is the Marlins’ year. 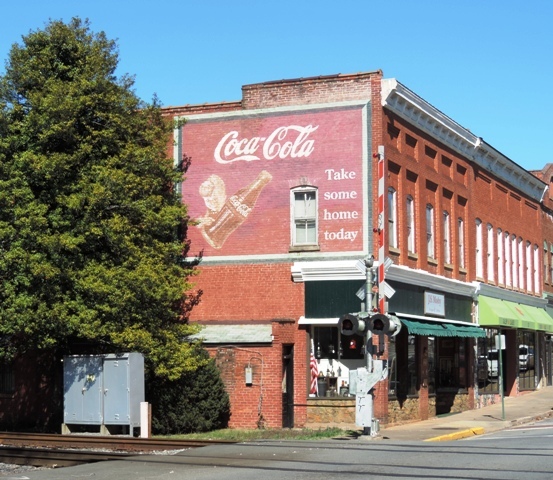 Aubrey’s mom recently reopened The 230 Market in Radiant, Virginia, which is the closest thing to a town to where I live. (And, by town, I mean, there is a tiny post office, the newly reopened 230 Market, and a historical marker recognizing Ollie Tucker, the one major leaguer who hailed from Radiant.) Radiant is, for the most part, a town in memory only; the kind of town that existed when going the 10 extra miles to get groceries was nine miles too far, especially if you were going by horse. 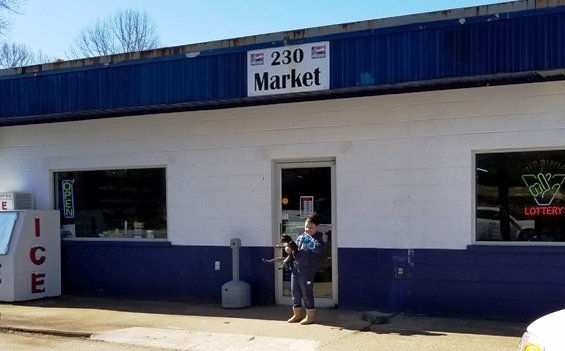 The 230 Market is where you go when you need a soda or a snack, or if you’re hungry for fried chicken which Aubrey’s mom Angela cooks up daily. It’s a handy-to-have-around kind of place and when it closed some years back, I was sad that our little market was gone. I’m glad it’s back. Aubrey has just started playing softball. What does she like best about it? I love a spunky softballer. My panel always needs a ringer, the one person who really does know his way around a diamond. That’s Kayden. When I saw him and his father pull into the parking lot of Charlottesville’s Tip Top Restaurant at breakfast last weekend, I knew immediately that he would be my ringer. Kayden is 12, plays travel ball, and is a shortstop who also pitches. I asked him if he was good and he paused and politely said, “I’m ok.” But, I knew better. I turned to his dad, “He’s really good, isn’t he?” And, his father nodded. Kayden hopes to play baseball in college someday … Ole Miss or maybe NC State. They are recent transplants from North Carolina so clearly I need some of you to comment here and let Kayden know how perfect he would be playing at Virginia. When he’s not playing baseball he is playing basketball or football or working out (which was where he was headed after breakfast). He’s also a fan of Fortnight and Rainbow 6 video games. Kayden doesn’t really like the Cubs. (He’s a Braves fan, remember?) 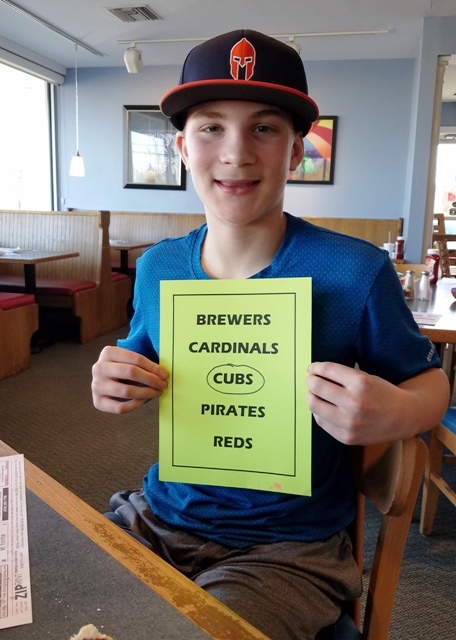 But, after considering the Cardinals, he opted for the Cubs, anyway, acknowledging that they have a good team and a strong pitching rotation. I’ve known Keith for a long time and he’s never really been a baseball fan, except when he played Strat-O-Matic as a kid. Back in the day he was the road manager for some of my favorite bands, including Scruffy the Cat and Poi Dog Pondering. He also worked on Dazed & Confused, one of my favorite movies. Dazed & Confused – Dear Baltimore Orioles, I think I just found the perfect 2019 tagline for you! 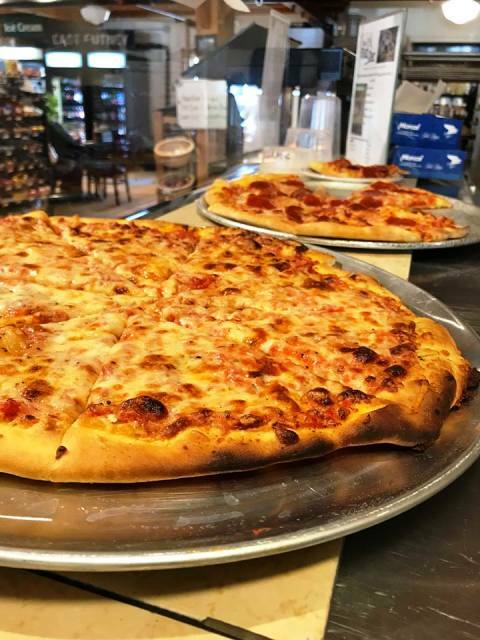 Today, Keith and his family live in Putney, Vermont where he makes pizza and carefully curates the craft beer selection at the historic Putney General Store, Vermont’s oldest general store. It’s been around since 1796, which makes it older than baseball. Why The San Francisco Giants? How about that my panelists are now making their predictions via video? Pretty sweet. Snake Plissken is named after Kurt Russell’s eye-patch-wearing toughnik character in Escape From New York. 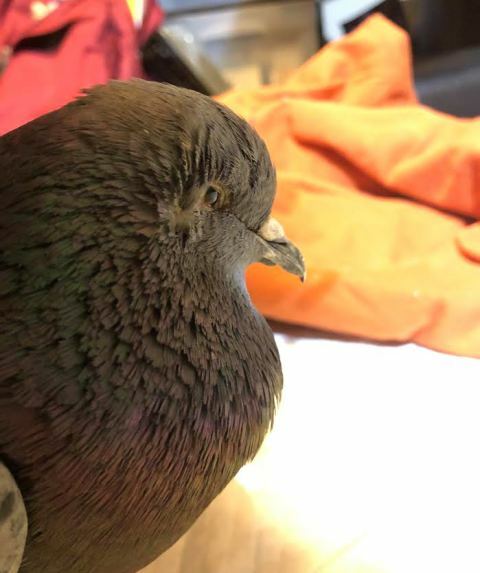 Snake the pigeon is equally tough and has one blind eye that was a birth defect and is currently blind in his good eye following a cat attack that left him badly injured. Anyone who knows cats knows that most birds don’t recover from cat attacks. But, Snake is no ordinary pigeon. He is, as the saying goes, one tough bird. Kayla already had a pigeon, Big Meanie, and is now caring for Snake, who had been brought to the Wildlife Center of Virginia. Kayla is an illustrator/graphic novelist and a celebrity in the world of Dungeons and Dragons and online table gaming; you can find live streams of her gaming online. 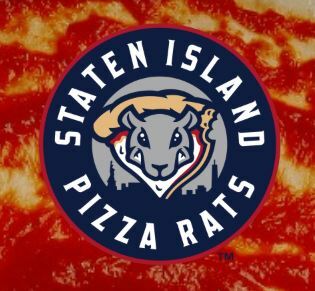 Kayla admits she knows nothing about baseball, although she did know that the Staten Island Yankees briefly renamed themselves the Staten Island Pizza Rats last year as part of a fan vote. Although he’s totally blind at the moment, Kayla reports Snake is healing, thriving, eating, “is quite sassy,” and with care might recover his vision in the one injured eye. Why The Tampa Bay Rays? 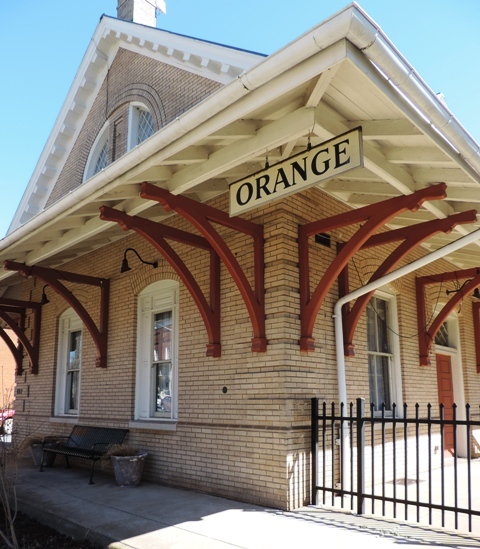 Martha is the Mayor of Orange, Virginia, a town with a population of about 5,000. It also has Martha, a friendly and outgoing mayor. She looks after the town and its citizens because she cares about them. She’s a good Mayor. 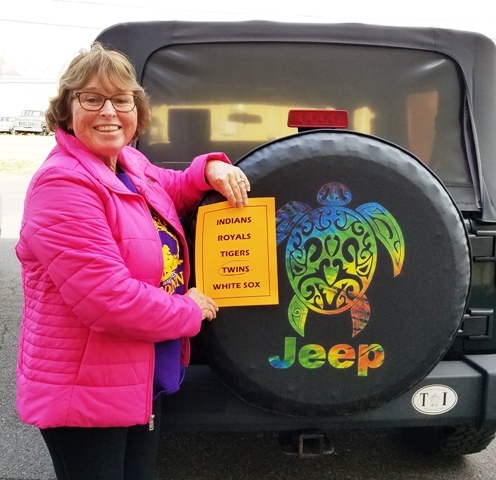 She loves the beach, sea turtles, University of Virginia sports, including Wahoo baseball, and the town of Orange. Long ago Orange on the left … Orange today on the right. “My niece has two sets of twins.” Mayor Martha can tell you that her niece’s twin twins are in Raleigh, North Carolina, but she can’t tell you where major league baseball’s Twins play, which is ok by me. 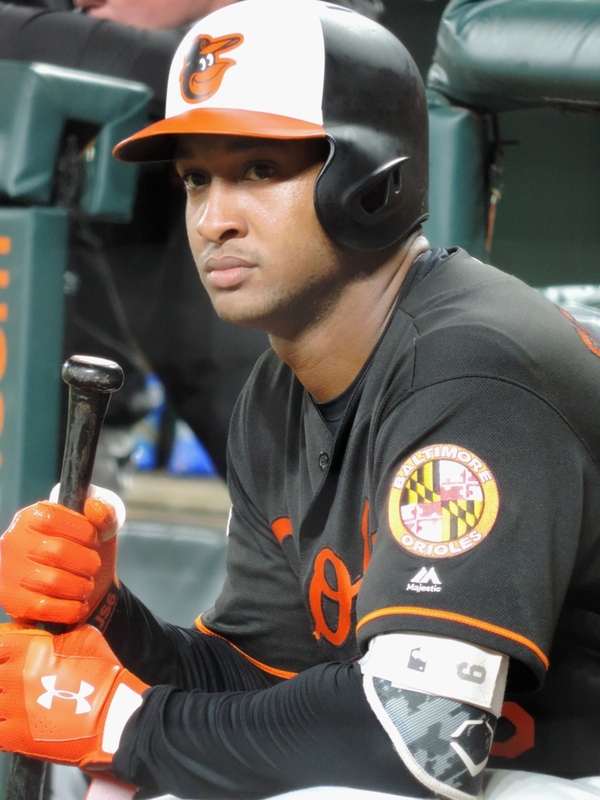 She also doesn’t know that my favorite former Oriole Jonathan Schoop is playing for the Twins this season, so I’ll have no problem rooting for them. 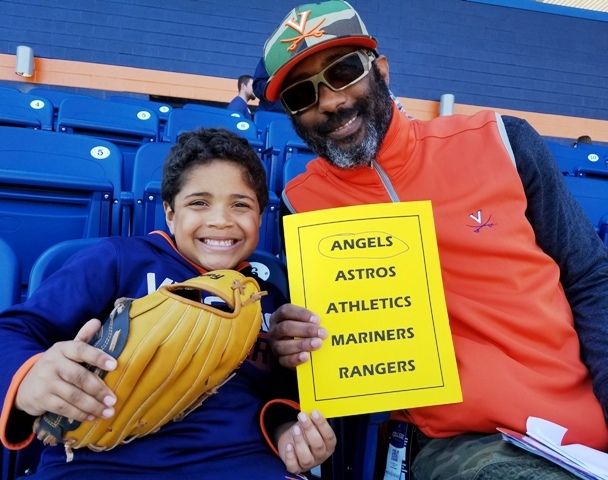 Mike and his son Jonah (who is six, “but nearly seven”), were at Sunday’s baseball game at the University of Virginia. 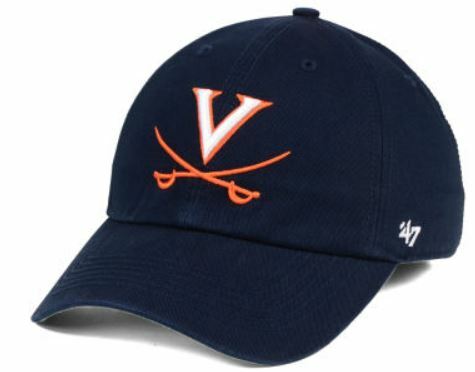 It was warm, sunny, and the Wahoos completed their sweep of Pitt. They just moved to Charlottesville from Atlanta last year. Mike is a coach with USA Cycling and Jonah plays baseball and his favorite position is catcher. When he’s not playing baseball, Jonah is playing basketball and football. They don’t follow much major league baseball, which makes them perfect for my panel. This is important for two reasons. One, even non-baseball fans heard about Mike Trout’s record-breaking $430 million/12 year contract last week. And, two, Mike Trout doesn’t even need to be named … he can be referred to as “he” in almost any situation and we will all know who “he” is. "I want to bring a championship back… Let's go baby." There are no wild card teams. Last year, my wild cards were chosen by an Android phone and iPhone’s Siri. They both correctly predicted post-season teams. I am not baking cookies for an iPhone again this season. I’m just not. Plus, I’m confident that the six teams chosen by my panel are plenty. They are wild enough for me and I’m rooting for all of them! Let’s Pick The World Series! 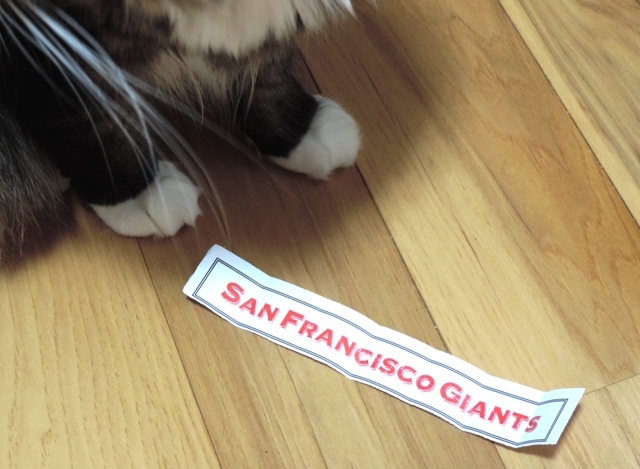 While Sports Illustrated no longer has the moxie to pick a World Series champ, my cat Mookie Wilson-Betts does. 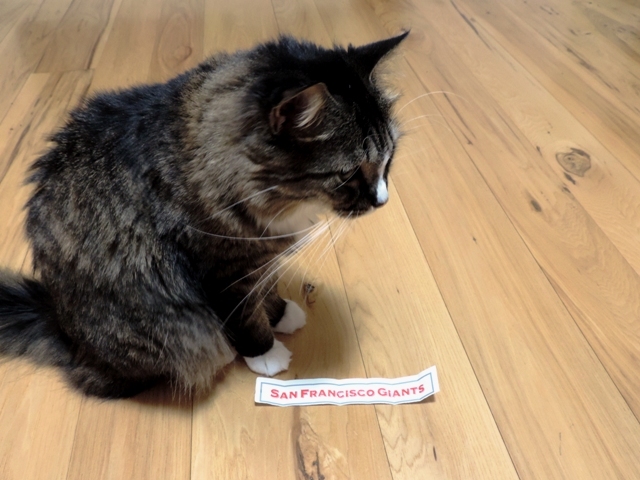 He hasn’t been right yet, but he knows this is his year (and there’s a can of sardines in it for him, if he’s right). 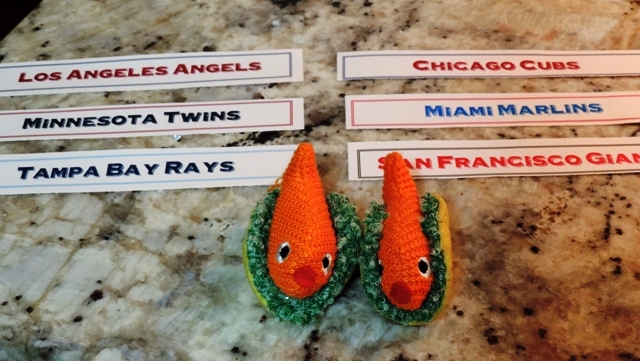 Without peeking, Editor/Husband chose one American League team and one National League team, and I carefully wrapped their names – still hidden – around two adorable fish taco cat toys and placed them on a blanket. Before I could refocus my camera, Mookie jumped up on the bed, grabbed one of the fish tacos, and ran off with it. So, he made his pick, but we had no photographic evidence. You’ll just have to trust us. What team did Mookie leave behind? Who will win? Who was in Mookie’s fish taco? It’s a California series! SI predicts the Giants will be one of the worst NL teams this season and will be unloading their veteran players by midsummer. It’s sure going to be fun to see SI outsmarted by a cat. Again. 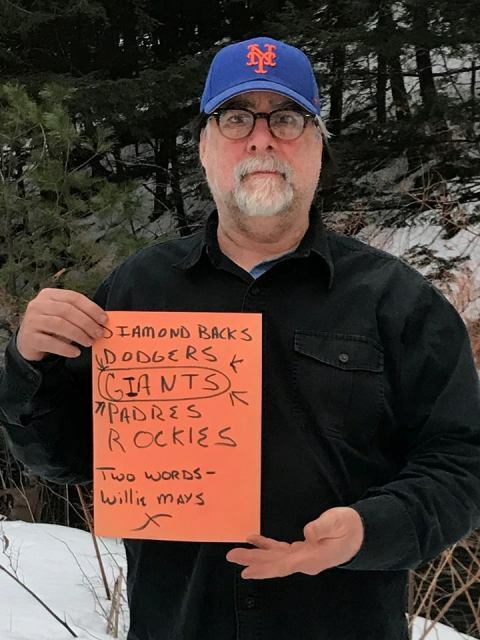 This entry was posted in Baseball and tagged Los Angeles Angels, Opening Day, Predictions, SF Giants, World Series by Jackie, The Baseball Bloggess. Bookmark the permalink. You are so creative with these picks each year! I look forward to them every year. Fish tacos for the final choice! Mookie, I love ya….thats right – grab and go buddy! And it appears I need to shop for a pair of fish tacos for my girls! 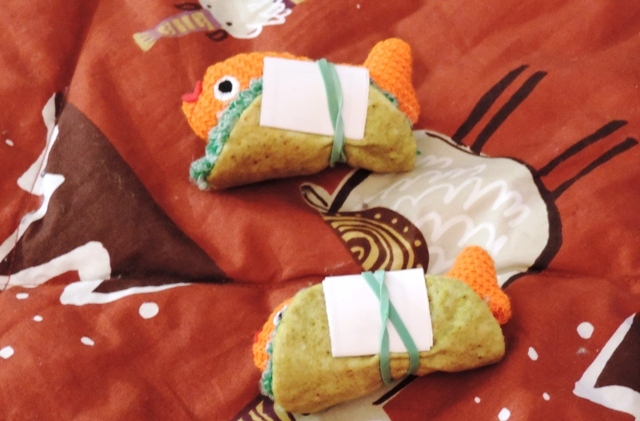 Thanks, Sharon … The little fish tacos came from Target and Mookie loves them. Thanks, too cute! Again, great fun article! Tell the kid Kayden the Cav has a ring to it. Sounds like your panel is as good as any I’ve seen. I’m going with Jonah and Moxie. Of course I (being an Angel ticket holder) believe the Angels will win the world series. Hey, it happened once! I have problems with Kayden’s pick. How can he look at the juggernaut that is the Reds and not pick them. I’m picking a Reds-Angels World Series, because my wife is an Angels fan and, as they say, happy wife, happy life. I also have problems with cats staying indoors. That pigeon should realize he can fly while cats can’t. This makes the competition between feline and fowl fair. For sure. I’m reading good things about this season’s Reds. I am reading no good things about the Orioles … so at least hope abounds in Cincinnati! Dodgers and Mariners! Seriously, I really believe in the M’s this year! No, really, I do… Hey we’re 2-0 and have the best record in baseball right now! Genius! And, about as accurate as any expert. :) BTW – still laughing! Solid picks and good reasoning behind them. I’m going with the Cardinals winning the World Series over the Astros. Three reasons. 1. The Cardinals usually win every now and then and it has been awhile. 2. The Astros in the series because that means the two teams I hate most, the Yankees and the Red Sox, won’t be in it. 3. The team I’d really like to win, the Mets, are only slightly more likely than the Orioles to be playing in October. My goal for the Orioles — win 63 games, lose fewer than 100. It would also be nice NOT to be the worst team in baseball. I think there’s more hope for the Mets, than for the O’s. It’s important to set realistic goals. If Mookie turns out to have picked the winner, SI may show up with a contract for exclusive rights to his future picks. Mookie, like his namesake Mookie Betts, won’t come cheap! I KNEW it! I KNEW this was going to be the Giant’s comeback year! Now it’s a lock- or, it will be, just as soon as they win more games than the other guys. Just a small matter of implementation, as the software people say. I think my panelist Keith said it best — “Two words: Willie Mays.” I’m pretty sure Keith knows that Willie is no longer playing, but it’s the best reasoning I’ve got and I’m sticking with it! Congratulations, in advance, on your World Series season … enjoy! I have been waiting and waiting for my favorite opening day tradition, and you and your experts do not disappoint, Jackie! Your experts should understand the gravity of their decision-making. Having been on the receiving end of your cookies AND brownies last season (not that I had anything to do with the selection process), you want to choose wisely, people. SO delicious!! Just another of your impressive talents, in a long line of many. Now let’s get to it—play ball! Eli created the position of panel “Ringer” last season. I knew that I had to find just the right person to replace him this season. Maybe we should call that spot the “Eli The Ringer” panel seat. I made cookies/brownies for four people last season … I’m hoping I get to bake up a storm again this season! Yes! Like the “Tostitos” Fiesta Bowl or “Toyota” Halftime Report, it could be the “Eli The Ringer” Panel Seat. I’m unable to come up with a baseball-related corporate-sponsored thing off the top of my head, so clearly it’s needed. Very good. Always funny. However, you must have been reading “Sports Illustrated For Kids”. The real SI indeed picked the Astros over the Phillies. It’s hard to find but it’s right there on page 66. 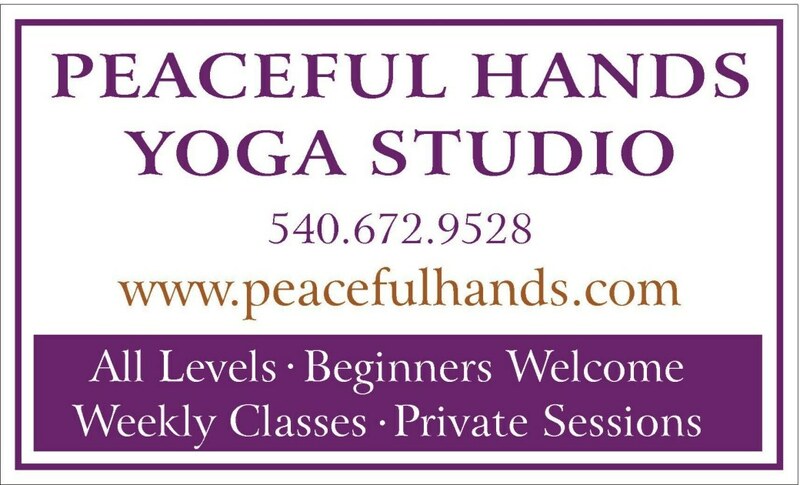 Let me know if you need a photo. No, no I wasn’t reading Sports Illustrated for Kids, but I’m delighted that I clearly look much younger than I actually am. You are correct that buried on page 66 at the bottom right corner is their Astros over Phillies prediction. I wasn’t able to find it initially because their prediction section — their annual scouting report — doesn’t mention it at all. I stand by my belief that SI’s years of support for the Nationals finally broke them. That, and my cat Mookie Wilson-Betts.